Do you live downstream from a dam? 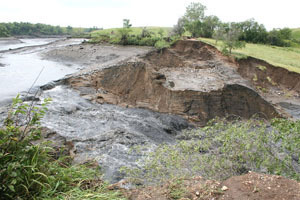 Is the dam a high-hazard or significant-hazard potential dam? To find out, contact your state or county emergency management agency and/or visit the National Inventory of Dams. There are around 2,228 dams on the National Inventory in Tennessee. And among those, 636 are listed as high or significant hazard potential dams. Strangely enough, Tennessee is the only state in the United States that has not passed dam safety legislation.